When life gives you lemons, you make lemonade. But when life gives you tornadoes, it’s probably time to get out of Kansas with your favorite canine companion. That’s just the sepia-toned first act, though, because you’re in for the adventure of a lifetime! 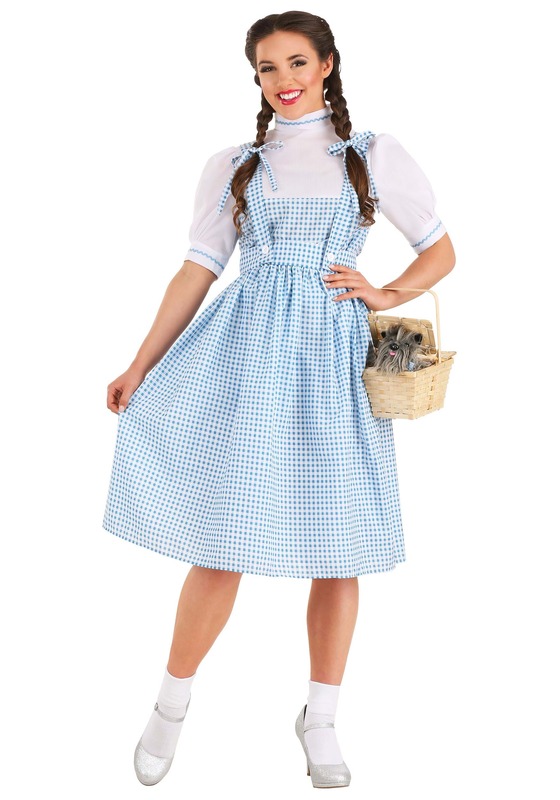 This costume is a blue gingham dress with a fitted waist and attached button straps. The white blouse has gingham trim on the collar and sleeve cuffs, and gingham hair ribbons are included! (If you’re curious, blue gingham just means a blue-and-white lightweight checkered cloth. So now you know.) 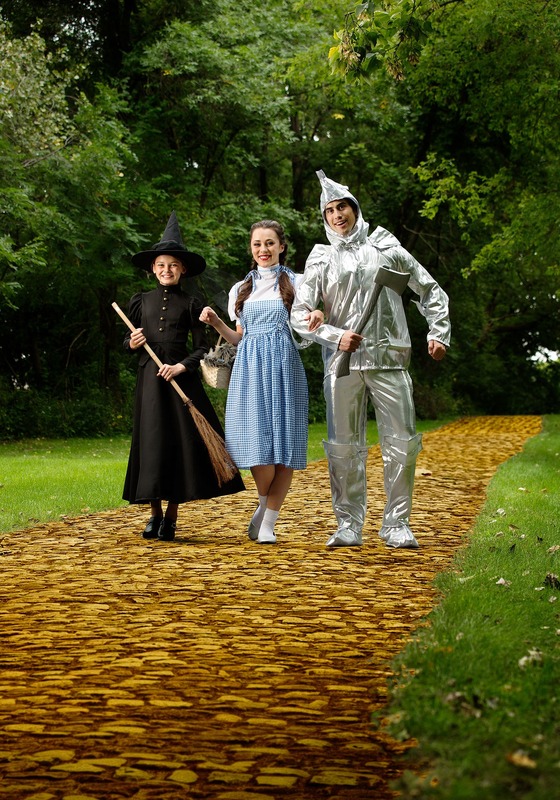 To complete this Kansas Girl long dress costume, we suggest some sparkly slippers and a wicker basket. Of course, you can put a dog in the basket or simply fill it with candy. We suggest candy. Because candy. That candy’s going to fuel your road-following, monkey-dodging, wizard-seeking (or avoiding) quest, after all. Just be glad that you’ve got the appropriate dress for questing, or, you know, Halloween and cosplay. So, are you ready to hit the road? How do you feel about Vegas? You can follow Route 66 most of the way there, just be on the lookout for flying mammals and robots and furries. You may even get told to seek out the wizard, but do yourself a favor and trust your judgment on that one. Sometimes he’s just a kid on his own journey to a video game tournament and then you’re getting your wizard movies all mixed up. Maybe we’ve lost the thread here. That’s it: comfortable threads! Because when you’re on a quest like this, you’re going to want to channel the girl who traveled in one of the most iconic ensembles out there. And she ventured out in sparkly heels, no less! Just remember that old saying when you're in a new land. . . there's no place like home! Had a great experience buying online from HalloweenCostumes.com. They ship on time and are very accomodating. 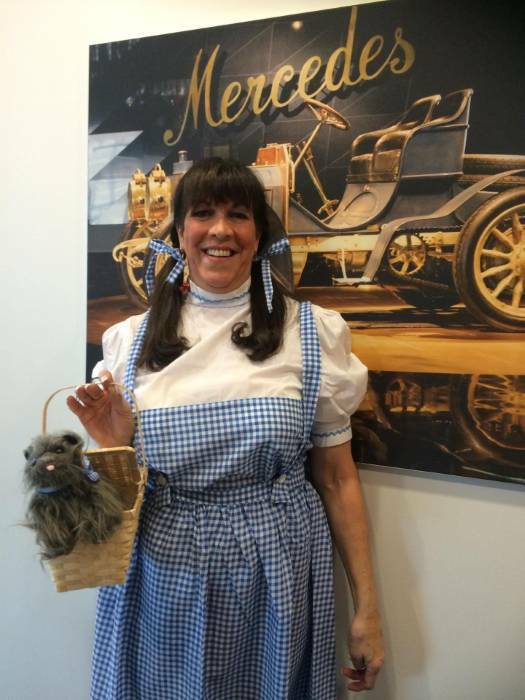 I wore the Dorothy costumer while selling Mercedes-Benz in Rockville Centre, NY. and had Toto with me the whole time. Added candy to the basket. I love it, but way too big. I am a 16 year old girl 5'1" and I put my measurements into the calculator and it told me to get a small. I ordered the small and it is huge! I am returning it and getting an extra small. The dress fits, except in the arms. I can't move my arms, it's so tight. Is great, good quality and the most important, cheap price. 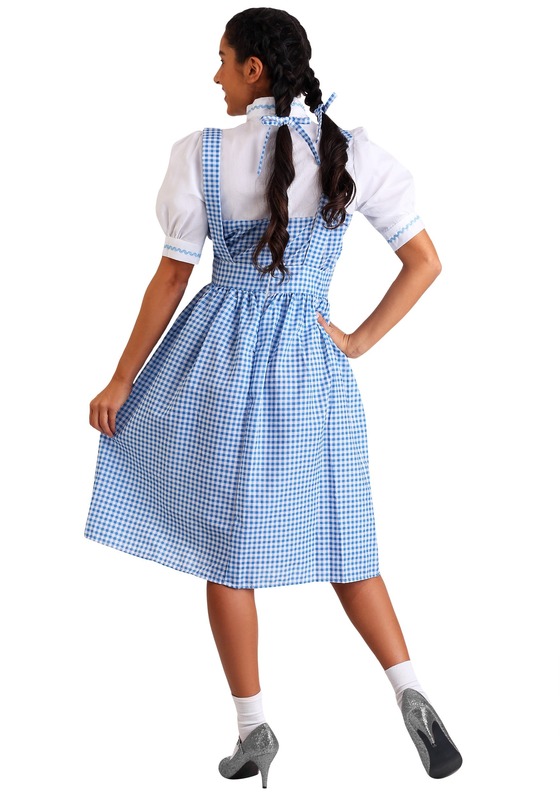 A Dorothy costume that isn't super short or low-cut! This one is accurate to the movie, too. I normally wear size 4-6 and ordered a medium. It was loose--wish I had ordered a small-- but still wearable after pinning the waist of the skirt. I also had to alter the top to bring the blue part up about 3 inches because it was completely below my chest. don't expect too much from this. the back does not close totally, just a tie at the top so our "Dorothy" has to wear a body suit. Very flimsy material. certainly not worth the price paid for it. Runs true to size or a bit on the small size..and can't quite understand why the back of the shirt and separate skirt are wide open...will have to figure out some creative underclothing :) but the dress is cute and looks the part... I'm 6' and 185 lbs and needed the XL, It'll work and even have a real "Toto" to accompany me to the party!